No Compensation For British Victims of the November Paris Attacks. « It’s Not an Act of Terrorism » according to UK Government. Christine Tudhope, from Fife, and her friend Mariesha Payne were enjoying the Eagles of Death Metal concert at the Bataclan, Paris, on November 13 last year when Isis-affiliated gunmen stormed the hall and killed 89 people. When they realised shots were being fired, the pair ran and hid in the cellar for three hours. They heard the sounds of shooting, screaming and the crash of dead bodies hitting the floor. At one point gunmen walked close by the room — the hideaways could hear them on walkie-talkies telling French police that they had hostages. Ms Tudhope, a PR officer at Heriot-Watt University, made a claim for compensation with the Victims of Overseas Terrorism Compensation Scheme, which was set up by the Tory-led coalition in 2012. The government lists terrorist acts that can be claimed for on its website. These include the hostage crisis in Algeria (2013), the kidnap of Setraco employees in Nigeria (2013), the attack at Westgate shopping centre in Kenya (2013), the attack at the Bardo National Museum in Tunisia (2015) and the attack at Port El Kantaoui in Tunisia (2015). 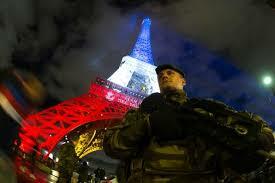 But more than two months after becoming the most infamous European attack for a decade, Paris is yet to make the list. Labour MP Paul Flynn told the Star that he was “bowled over by the depths of government imbecility” in the Foreign and Commonwealth Office dragging its feet even though it only took hours last month for MPs to vote for Syria air strikes. The motion was passed in the Commons with a huge majority of 174 six weeks ago. Mr Flynn, a vocal opponent of war who represents Newport West, added: “This was an act of terrorism and there is no room for debate. What else could it be? This is typical of the moronic state of government. They declare war in a couple of hours and take a decade to deal with the implications after tying themselves up in gobbledegook regulations. This case sounds like another piece of bureaucratic unnecessary complication which is clogging up the system and the swift administration of compensation.